If a picture could be a receipt, this picture would be my receipt for another happy summer Staycation day. It captures a moment in time and I can see my babies growing up and still loving and admiring one another. 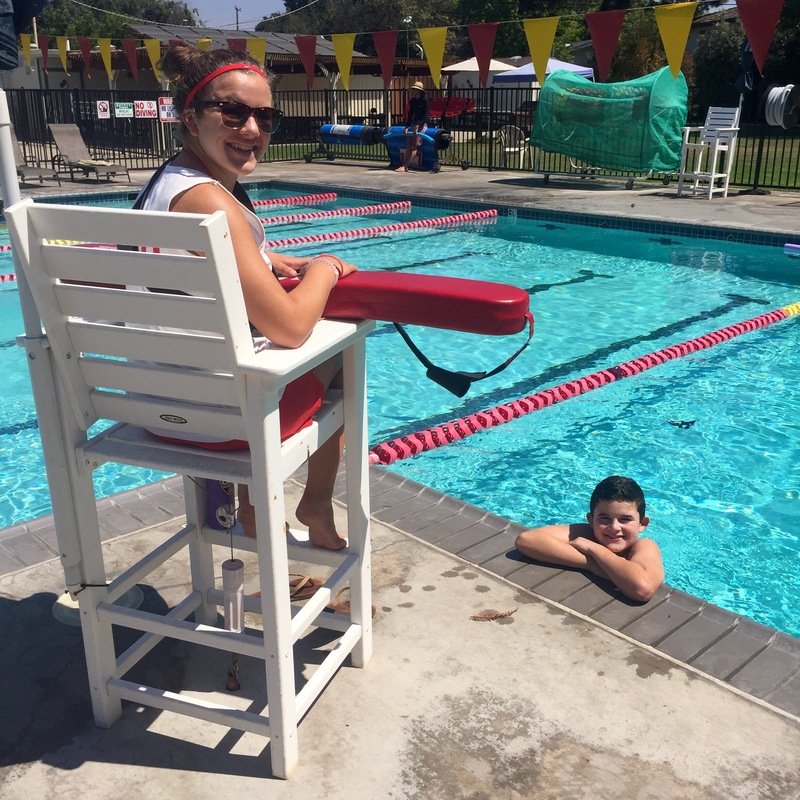 Charlie adores his sister and loved that she was the lifeguard on duty at the pool today. I loved that he was happy swimming alone in the deep end, having her undivided attention. When we arrived at the pool, Juliana was on a break because there weren’t any kids in the pool. She didn’t mind at all to put her book down and to come watch her brother. They make a great team and watching them made my heart content. Life is good. I’m loving this staycation thing! Happy 1st day of August. I hope you’re off to a good, new beginning, whatever that may be.